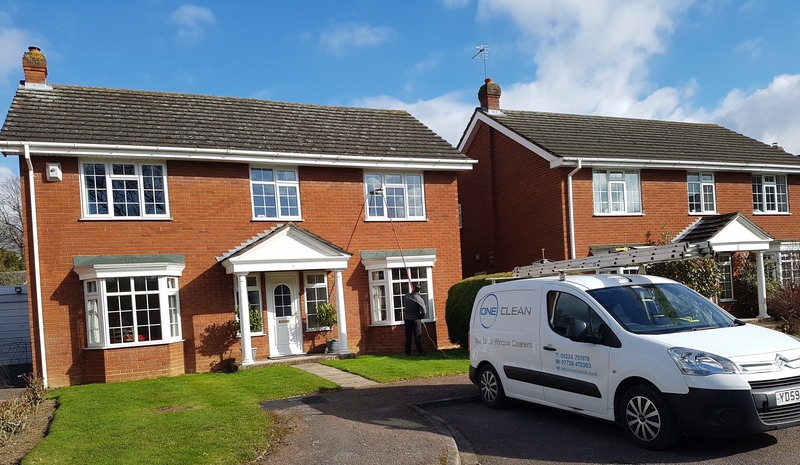 OneClean offer regular and reliable domestic window cleaning to many towns and villages across Bedfordshire. We have been domestic window cleaning since 2005 with high standards. Our experienced teams are always uniformed, work to high standards and pay attention to detail. All frames, sills, doors and glass cleaned EVERYTIME. Cranfield, Wootton, Marston, Bromham, Lidlington, North Crawley, Lower Shelton, Upper Shelton, Elstow, Kempston, Bedford, Milton Ernest, Clapham, Barton Le Clay, Silsoe, Ampthill, Hulcote, Salford, Woburn, Woburn Sands, Aspley Guises, Wavendon, Stewartby, Slip End, Eversholt, Millbrook, Ridgemont, Clophill, Luton, Dunstable, Leagrave, Toddington, Maulden, Silsoe, Shorttown, Bromham, Newport Pagnell, Steppingley, Kempston Hardwick, Husborne Crawley, Riseley, Stagsden, Astwood,Oakley, Box End, Great Barford, Great Denham, Wixams. We are a family run business who has been a leading commercial and domestic window cleaning company since 2005. Cranfield, Wootton, Marston, Lidlington, North Crawley, Lower Shelton, Upper Shelton, Elstow, Kempston, Bedford, Milton Ernest, Clapham, Barton Le Clay, Silsoe, Ampthill, Hulcote, Salford, Woburn, Woburn Sands, Aspley Guises, Wavendon, Stewartby, Slip End, Eversholt, Millbrook, Ridgemont, Clophill, Luton, Dunstable, Leagrave, Toddington, Maulden, Silsoe, Shorttown, Bromham, Newport Pagnell, Steppingley, Kempston Hardwick, Husborne Crawley, Riseley, Stagsden, Astwood,Oakley, Box End, Great Barford, Great Denham.